Welcoming you to the new release of our dessert: the famous classical Apple Pie. Just like a home made apple pie, every bite of generous sweet and sour apple filling combined with buttery and crispy pie crust will bring smiles on your face. 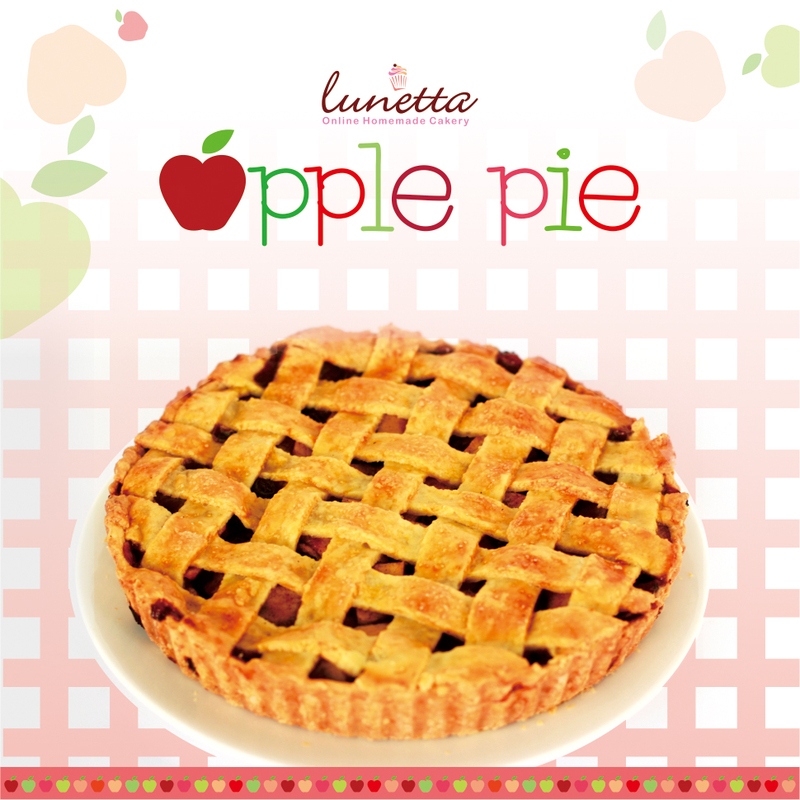 Apple Pie Diameter 24.5cm idr.220,000. Welcoming you to the new release of our dessert: the famous classical Apple Pie. Just like a home made apple pie, every bite of generous sweet and sour apple filling combined with buttery and crispy pie crust will bring smiles on your face. Apple Pie Diameter 22cm idr.195,000.